Hudson's Bay has a hot one-day deal today! 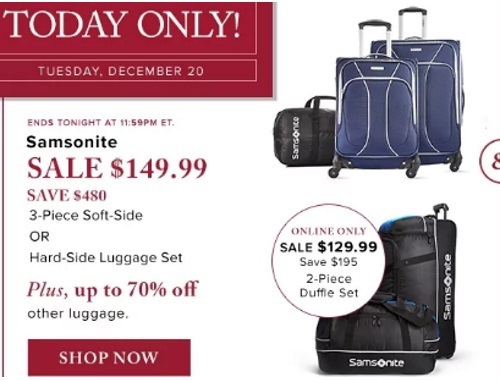 Get Samsonite 3 piece Portsde soft-side or Alliance hard-side luggage sets for only $149.99 each (save $480). Offer is while quantities last. Offer is valid in-store online today only, Tuesday December 20, 2016.